NEW: See us featured on an NCIS episode - Click here! 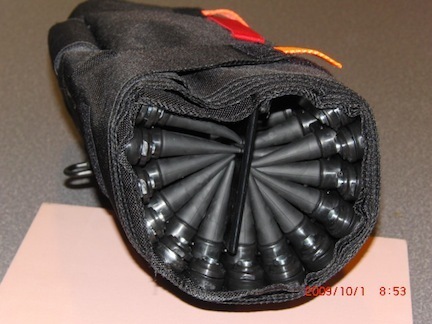 The MagnumSpike!™ is the ultimate tire deflation device (TDD) to safely and swiftly stop high-speed chases. 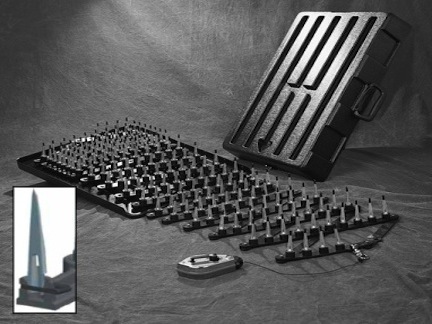 The unique, non-clogging tire spike design of MagnumSpike!™ allows for controlled and quick tire deflations 100% of the time. We are a small, minority and woman-owned business and take great pride on our ability to provide the Military and Law Enforcement with the tools necessary to achieve controlled tire deflations while safeguarding their lives and those of innocent bystanders as well as preventing property damage. 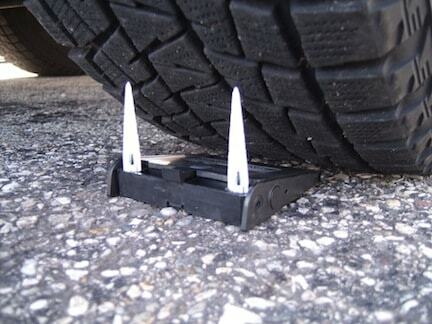 With the MagnumSpike!™ every hit is a successful stop regardless of the size or type of the vehicle or tire. By stopping different size vehicles within predictable short distances, the MagnumSpike!™ along with timely communication and preplanned deployment could help officers prevent high-speed chases. Even departments with a no-chase policy can deploy the MagnumSpike!™ and stop pursuits before they start. Click to view our brochure here. 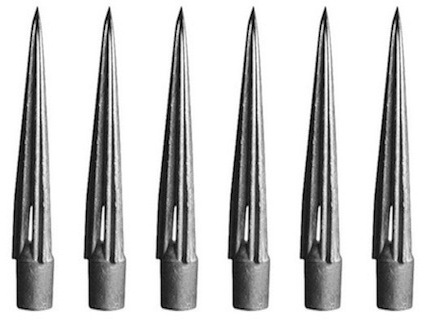 The superior design of our 2 1/2” three-cornered spikes are the envy of the industry. 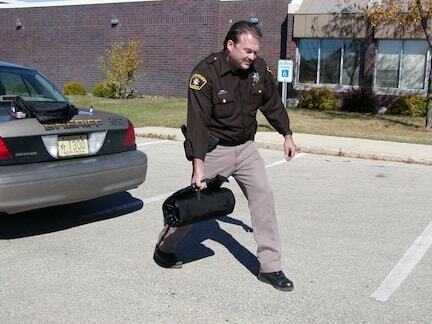 They never clog, deflating suspect’s tires quickly and safely without causing them to lose control of the vehicle. The 10 ft. models in a polymer hard case are sturdy yet lightweight and can be deployed in seconds giving officers complete control in dangerous situations at a price every department can afford. The inset picture illustrates the cross-section of the retain-release mechanism used in the UMS models. 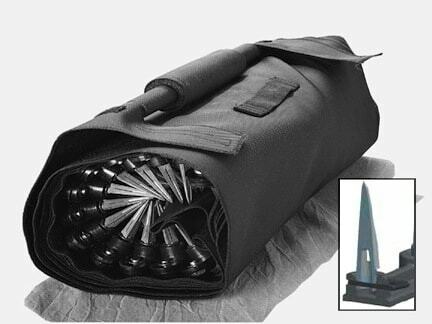 These 12 ft. deployed length wrap & roll models come in a soft ballistic nylon case and are deployed as if throwing out a bowling ball. The inset picture illustrates the cross-section of the retain-release mechanism used in the UMS models. Our most popular16 ft. wrap & roll models are similar to the 12 ft. wrap & roll models. The inset picture illustrates the cross-section of the retain-release mechanism used in the UMS models. This 25 ft. tire deflation system is the best of its class. In thousands of successful stops through decades of use, there has never been a single injury with the MagnumSpike! The inset picture illustrates the cross-section of the retain-release mechanism used in the UMS models. Use our free, hands-on, certified train-the-trainer program. Our units come with a training DVD as well as an illustrated training manual. Please call for more details. Another way to stop a chase before it starts is with the MagnumClaw! This pocket-size model of the MagnumSpike! 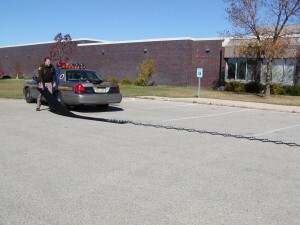 can be placed under the tire of a vehicle pulled over for questioning preventing the driver from fleeing. Magnum Spike™ is the leading tire deflation device (TDD) that has been saving lives across the U.S. and around the world. MagnumSpike!™ stops fleeing vehicles. 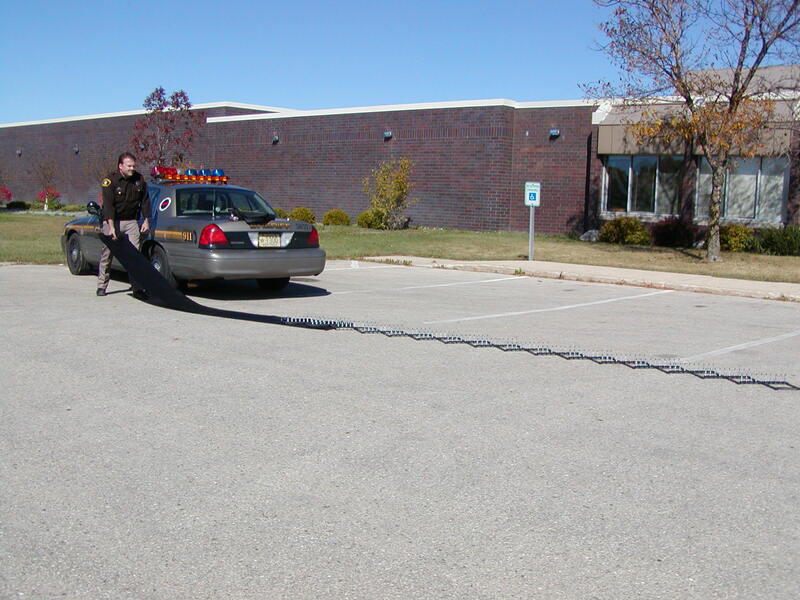 The Military, Law Enforcement Departments, and Homeland Security Agencies rely upon the MagnumSpike!™ tire deflation device for 100% safe, swift and successful stops. The unique, non-clogging tire spike design of the MagnumSpike!™ allows for controlled and quick tire deflations 100% of the time. Every Hit is a Successful Stop. Because of its unparalleled 100% safety record from day one, the Department of Homeland Security issued a Certificate of Conformance to Phoenix International for the MagnumSpike!™ tire deflation device as an “Approved Product for Homeland Security”. The certificate is issued under the Support Anti-terrorism by Fostering Effective Technologies Act of 2002 (the Safety Act). MagnumSpike!™ is the Ultimate tire deflation device (TDD) to safely and swiftly conclude high-speed chases, whether stopping sub-compacts or semis. 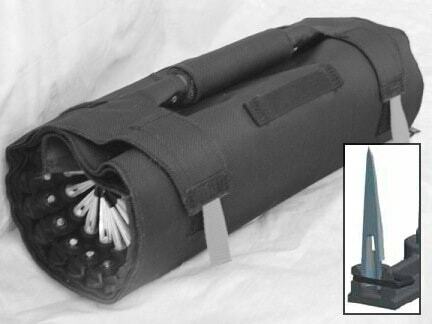 MagnumSpike!™ is an exceptional value consistently safe and easy to use. The MagnumSpike!™ provides officers, deputies and agents peace of mind to achieve tire deflation while reducing risk to citizens. Since 1986, Phoenix has done tire spike research and development giving MagnumSpike!™ a competitive edge. 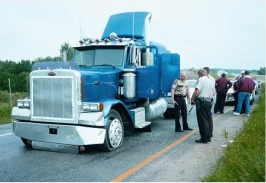 Its patented tire spike design creates a controlled and quick end to chases. MagnumSpike!™ offers 100% tire deflation. Expert technical advisors are available to you to select the appropriate tire spike solution for your tire deflation needs. On this website you can learn about tire spike products for tire deflation and read and view testimonials from actual law enforcement agencies who rely upon MagnumSpike!™ tire deflation products and services. 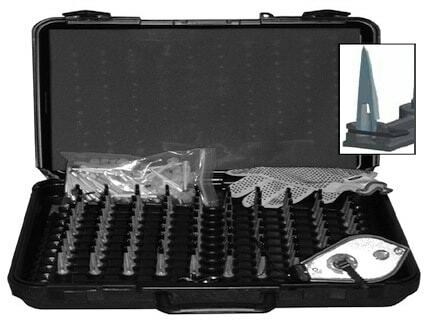 To learn more about our tire spikes and tire deflation devices and why the Military and Law Enforcement from around the world make them their premier choice, we invite you to contact us via our web form, email tdd@magnumspike.com or by calling 262-784-2732 or 888-667-9494 today!